Cream is light and airy. It’s a great color to use as a room’s neutral and a great shade to use the foundation of a new design. Blue is relaxing and the ultimate fan-favorite. It plays well with others but also makes a splash in whatever style genre you allow it in. Today, we’re bringing these two friends together and checking out how they can transform all types of rooms. 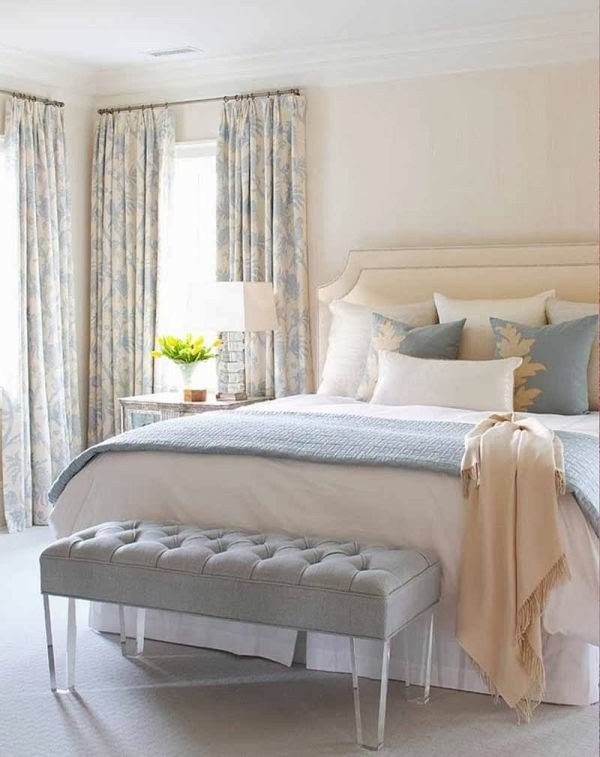 From the bathroom to the bedroom, let’s peek at some cream and blue-hued room and grab some ideas and inspiration!